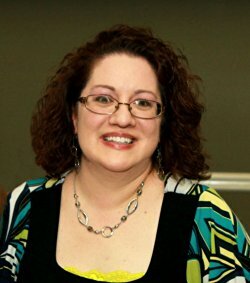 I official began my writing career in June of 2013 when I created my blog, booknvolume.com. In 2014 I dove into the Indie Author end of the pool when my first book, Dark Fey: The Reviled was published on Kindle, however, I have been writing since I was a child. In fact, I recently discovered poems, which I wrote to my mother, that were written in crayon. Nearly anything can Inspire me, but most often it is a striking image/photograph, or a stirring piece of music, a moving scene in a movie/show, and of course the immortal Shakespeare. Inspiration is a spark drifting on the breeze waiting to ignite the Imagination it touches. What genre do you write in and what made you chose this particular genre? My current WIP is Fantasy/speculative fiction/YA, because the Inspiration that set this particular flame burning began life as fantasy, but I have written in many other genres including Dystopian Sci-Fi, Historical Fiction/Romance, Childrens, and of course Poetry. What is your goal in writing? Do you have dreams where your writing should take you? As far as a goal or where my writing should take me, I look forward to being able to quit the 9-5er and enjoy a lifelong career as an author, because words are my passion and writing is what I Believe I was meant to do. Do you ever suffer from writer’s block and if yes, how do you deal with it? Silence is a natural part of the writing process. I believe writer’s block is simply the spirit of Inspiration recharging within us. When the silence comes, I think the best thing to do is pause, refocus, and listen. It may take days, it sometimes takes weeks, but the Spirit of Inspiration speaks loudest when we do not. What advice would you like to give new, hopeful authors? I would say be true to you. Write because you love words and you have something worthwhile to say. Write because painting pictures with words is more intoxicating to you than wine and brings you as much joy. Write because you long to with all your spirit, not because you think it will make you rich and famous. 15 minutes of fame isn’t very long in comparison to a lifetime of simple pleasures deeply enjoyed. Please, tell us about your work. The story of Dark Fey is set in a Fantasy Realm, but the message is relative to our own reality. That The Power of Hope, Acceptance and Forgiveness can change the world, if you take Positive Action to Create Change through doing what is Right. Another way to look at it is to say: The only way to achieve Peace is to become Peace. This message came partially as a result of learning about the LRA (Lord’s Resistance Army) in Uganda, where militant rebels have been abducting children for over 20 years, integrating them into their army through abuse and cruelty, and forcing them to endure lives of violence. I was moved to my very spirit by such a horrifying truth and chose this medium to share a similar story. However, unlike our own reality where this atrocity continues even today, the Fey of Jyndari choose to change their world by taking Positive Action through Sacrifice, Acceptance and Forgiveness. 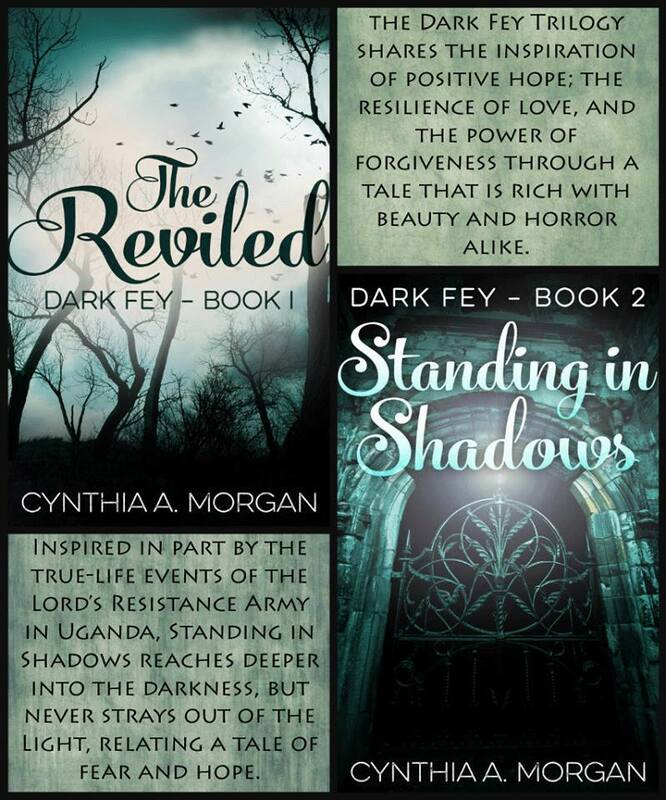 It is my Hope to be able to donate a portion of the proceeds from the sales of Dark Fey to UNICEF’s work in Uganda where they actively rehabilitate the children affected by the LRA. Cynthia A. Morgan is the creator of the mythical realm of Jyndari and author of the epic fantasy Dark Fey Trilogy, which is based, in part, upon the true-life events surrounding the Lord’s Resistance Army in Uganda and draws readers into a mystical realm of primordial forests, magic and the lives of Light-loving and Darkness-revering Feykind. Not to be confused with pixies or “Tinkerbell” type fairies, the feyfolk of Jyndari are winged beings the size of any human who live in a realm where tradition, magic, and spirituality are fundamentals of everyday life. Dark Fey has earned many 5 stars reviews, including one of the leading industry review organizations, Readers Favorite. Compared to a fantasy version of a play by Shakespeare, Dark Fey is a brutally beautiful story of Love, Hope, and finding Peace in the Darkness. Published by Creativia Publications in January 2015, Dark Fey is already among the top #50 in several Fantasy genre categories on Amazon.